If you want to comment on anything on this site, you must have registered first and be signed in. Not all posts or pages will allow you to comment. Sometimes it’s just not appropriate to have comments. If you want to comment on a post – i.e. an entry on the Home page, look for the speech bubble to the top right. It will turn blue when you hover your mouse over it. Click it and you will be able to leave a comment. 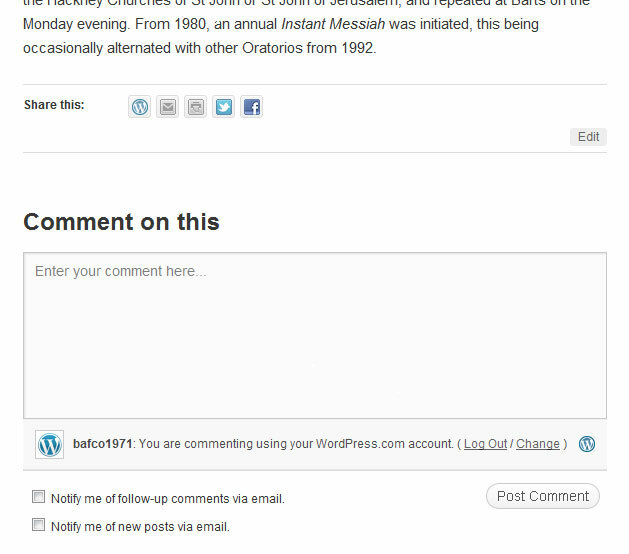 Note that there should be a delay on your first comment appearing on the site. This is because we have a few moderation settings to avoid spam being left here i.e. your first comment must be approved. It probably also goes without saying ….please keep it clean and civil!